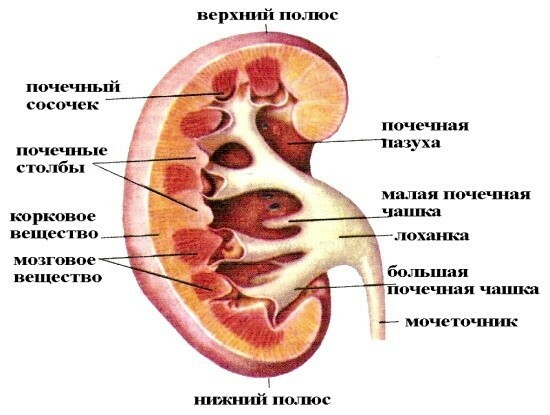 Modern medicine has a large number of methods of diagnostics of the kidney. One such method is Doppler ultrasound of renal vessels – a study to determine the localization of the renal vessels, their size, and to detect violations of blood flow. The study is based on the Doppler effect – the ability of the cellular elements of the blood to reflect ultrasonic waves at different speeds, which are caught by the ultrasonic sensor. The sensor transmits a signal to the computer where the received data is converted to a specific image where the color indicates the movement of blood through the renal vessels. The result of the ultrasound the doctor gets full information about the blood flow in real time – this greatly facilitates the correct diagnosis. Studies, allowing to identify the disease at an early stage, a bit early stages of the disease often do not produce any marked clinical symptoms. Doppler ultrasound of renal vessels allows to look «inside» of the renal arteries, because blood condition depends main function is secretory. Early diagnosis of thrombosis arteries with ultrasound to prevent serious consequences – including heart attacks the kidneys. Doppler of renal arteries helps to estimate the location of the kidneys, their topographic relationship with adjacent organs. The technique is non-invasive and completely harmless to the patient, while the cost of the study low, which allows the use of ultrasound of the renal arteries in everyday medical practice. Preparation for the procedure is relatively simple. Frequent cases of high blood pressure. Edema, localized under the eyes, on the eyelids, arms, lower back. The skin over the swelling, dry, pale. Mainly swelling of the tissues develops in the morning hours. High rates of protein in the blood or urine. Pregnancy, accompanied by late toxicosis. An acute attack of renal colic. Injury or trauma to the lumbar region. In order to obtain all the information and provide a complete picture of the status of the renal arteries on ultrasound, the patient must be trained. A few days before the test from your diet to exclude foods that increase flatulence – accumulation of gas complicates the visualization. Such foods include fresh fruits and vegetables, sweet pastries, in particular bread, cabbage, fresh or pickled beans, fizzy drinks and juices. The tendency to flatulence preparation is the reception of adsorbing drugs, such as «Espumizan». Ultrasound of the renal arteries is best done in the morning on an empty stomach. In the case when the test is scheduled for the afternoon, a light Breakfast is allowed, but it is important to note that after the last meal should take at least 5 hours. Proper preparation provides high informativity. Dopplerography of renal vessels takes the patient a lot of time. During ultrasound of the examinee is located on the left or right side, in some cases, when this is not possible – sitting on the couch. On the skin of the loins, in place of projection of the kidneys, the doctor applies a special gel that improves the sliding of the sensor over the body surface and amplifies the conduction signal. The doctor moves the sensor in relation to the location of the arteries, at the same time on the monitor apparatus receive the image, where color is highlighted in the movement of blood through the vessels. READ Radiography – what is it? Clarifies the localization and the size of the body, its mobility. Assesses the structure of the surrounding soft tissues. Pay attention to the presence of malformations and abnormal vascular tumors in the kidneys. Special attention is paid to the renal sinus – the specialist looks at the presence of stones or other pathological formations. The doctor measures the resistance index in the arteries. The measurements are taken at average, and the proximal end portion of the vessel. Big difference in the value of the index in both kidneys alleges a violation of blood flow in the body. Doppler ultrasound of the kidneys is an essential procedure for the diagnosis of vascular diseases at an early stage. The shape of the body, the normal bean-shaped. The state of the external circuit is normal: outline clear and smooth. Evaluation of capsule thickness should not be more than 1.5 mm, with hyperechoic struktoroy. Mutual location – right below the left kidney. The comparative evaluation both kidneys of approximately equal size, is allowed a slight difference 2 cm. The mobility of the kidney – the rate of displacement of the kidney when performing respiratory movements of 2-3 cm. The uniformity of the renal circulation. The velocity of blood flow in the arteries, the magnitude of the resistance index. READ Anesthesia for hysteroscopy: how to do better? To the received opinion, the patient need to consult your doctor for the selection of drug therapy. Timely treatment for medical assistance can greatly facilitate life and get rid of the negative consequences. Doppler ultrasound: what is it and when assigned? The BCA Doppler ultrasound: what is it and when assigned? Doppler ultrasound in pregnancy: what is it? Doppler ultrasound of lower limb veins: what is it and why is that?